The best SUV in the country – in terms of resale value – is the Hyundai Creta! This has been revealed by Darryl Jacobson, managing director of True Price, who adds that SUVs are being snapped up on auction. “Globally, SUVs are selling like hot cakes. This is the one sector of the motor industry that is truly on fire. We are seeing exactly the same happening in the auction arena here in South Africa. SUVs are highly sought-after and, assuming they’re in good condition, they are being snapped up on auction,” he reveals. Jacobson and the rest of the True Price team attend all major bank repossession auctions in Gauteng. They do this in order to gather data pertaining to vehicle sales. This data is utilised to provide free vehicle evaluations to South African motorists. “We now have data pertaining to thousands of auctioned vehicles on our system. An analysis of this data has revealed some extremely interesting findings when it comes to which SUVs have the best resale value. We have produced a top 10, based on actual prices achieved on auction. The figures pertain to the percentage of original selling price that has been achieved on auction,” he explains. According to Jacobson, this is one vehicle that always attracts attention on auction – irrelevant of the kilometres clocked or condition of the vehicle. “This is an iconic SUV that all buyers aspire to own. It is a genuine 4×4 too, which is enormously capable off-road. Couple all this with Toyota’s exceptional reputation and you have a real winner here,” he notes. The second Toyota in the top 10, the excellent resale value of this vehicle is testament to the power of the Toyota brand – yet again. According to Jacobson, the Fortuner is incredibly popular with all SUV buyers – whether they’re shopping for a new or used vehicle. “It was the sixth most popular new passenger vehicle last month, clocking up a whopping 954 sales in the month of March. When a Fortuner falls under the hammer on auction, there’s always a lot of eager bidding. Everyone loves the ‘Tuna’; just visit the game parks … this vehicle is almost more common than the impala,” Jacobson says with a smile. Since then, a plethora of cute and quirky SUVs have made their way into the market. However the popularity of this Toyota has never waned. “It is compact yet spacious, safe but great fun to drive, good looking yet very capable … it really is a fabulous SUV. This is reflecting in substantial new car sales (715 last month, making it the 10th most popular passenger car in South Africa) and strong demand in the used car market too,” he adds. The all-new fifth generation RAV4 has just been launched in South Africa; Jacobson predicts that its resale value will also be exceptional. 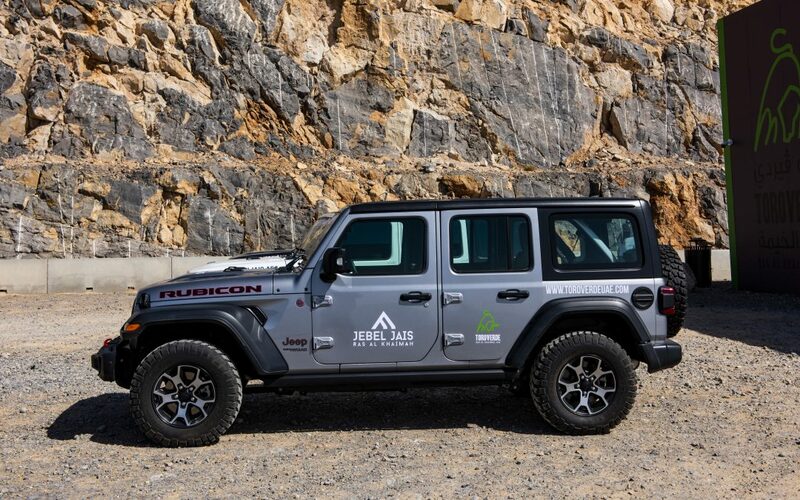 One of America’s most iconic vehicles, the Jeep Wrangler is much loved the planet over … and South Africa is no exception. “The Wrangler has always been an immensely capable off-road vehicle. However the latest model is quite good on road too, its interior is more refined than before, and it is surprisingly quiet too. These factors have seen the popularity of this plucky and capable 4×4 grow amongst South African motorists – and the vehicle’s resale value has soared upwards too,” says Jacobson. Motorists wishing to establish the value of their vehicles can visit trueprice.co.za and request a FREE evaluation.